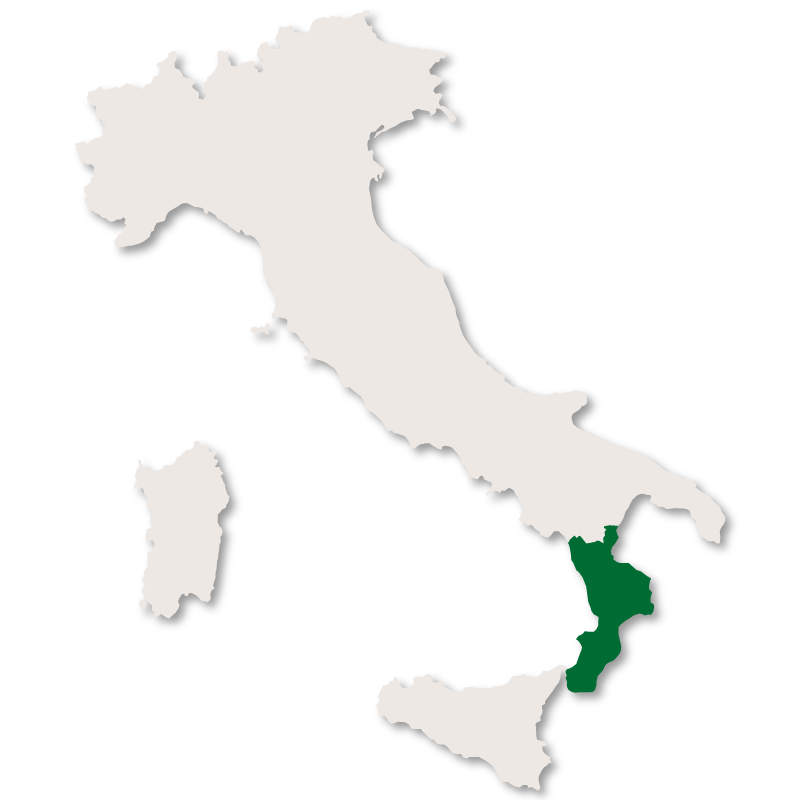 Calabria is located at the 'toe' of the Italian peninsula. It is bounded to the north by Basilicata, to the south-west by Sicily, to the west by the Tyrrhenian Sea, and to the east by the Ionian Sea. The region covers 15,081 square kilometres and has a population of 2.9 million. 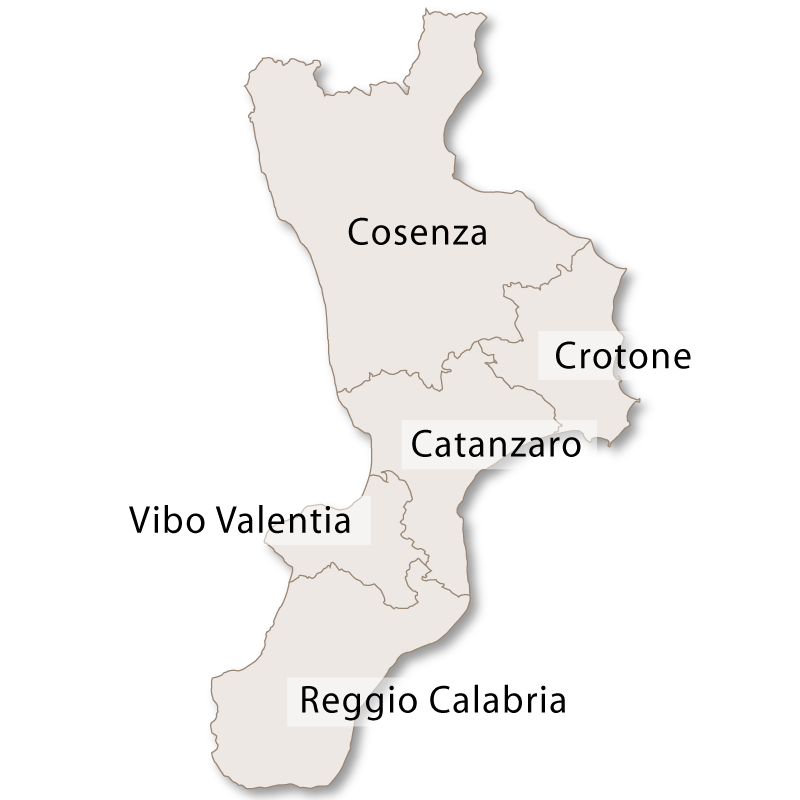 The capital of Calabria is Catanzaro and the provinces are: Catanzaro, Cosenza, Crotone, Reggio Calabria and Vibo Valentia. 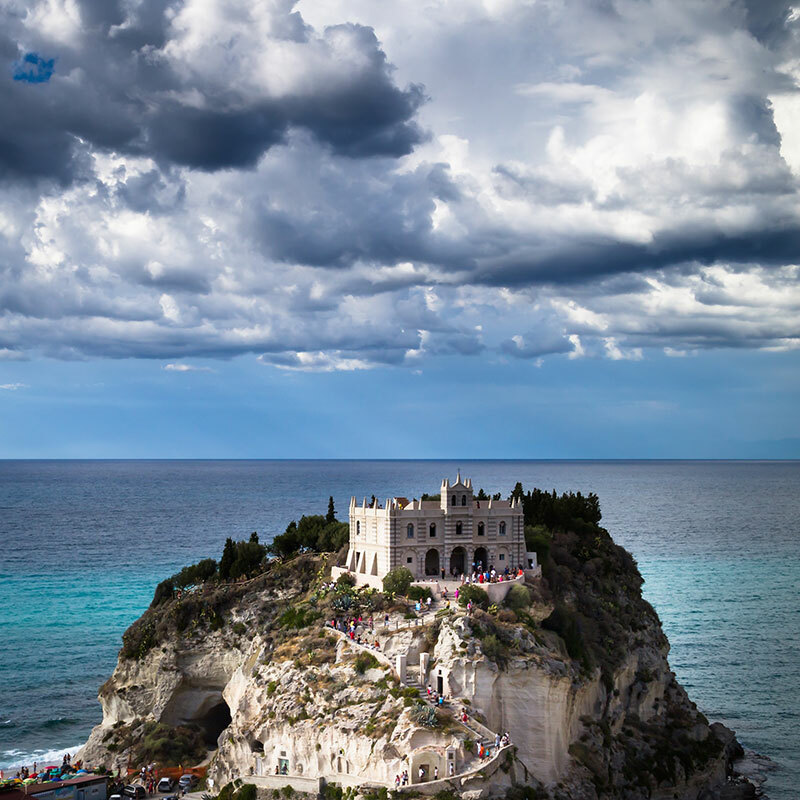 Calabria stretches from north to south for 248 kilometres, with a maximum width of 110 kilometres. It is separated from Sicily by the Strait of Messina, where the narrowest point between Capo Peloro in Sicily and Punta Pezzo in Calabria is only 3.2 kilometres. 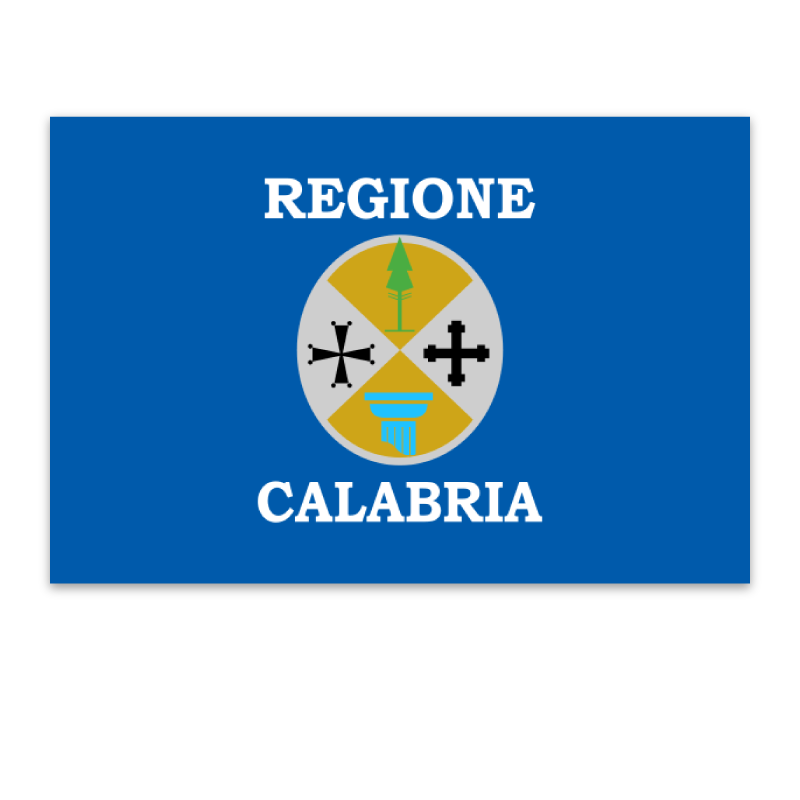 For a long time Calabria was one of the poorer areas in Italy, but more recently the government has stimulated the economy through land reform, the introduction of new crops, and the promotion of tourism. Farming is still the main occupation with olives, plums, grapes, citrus fruit, and wheat being the main crops. Sheep and goats are also raised. Fishing is well developed along the Strait of Messina. Calabria is well-known for its beautiful seaside resorts, its long, white sandy beaches with warm, crystal clear water and the colourful nightlife to be found in the many bars and restaurants of the region. Away from the coast, it is mainly a mountainous region. 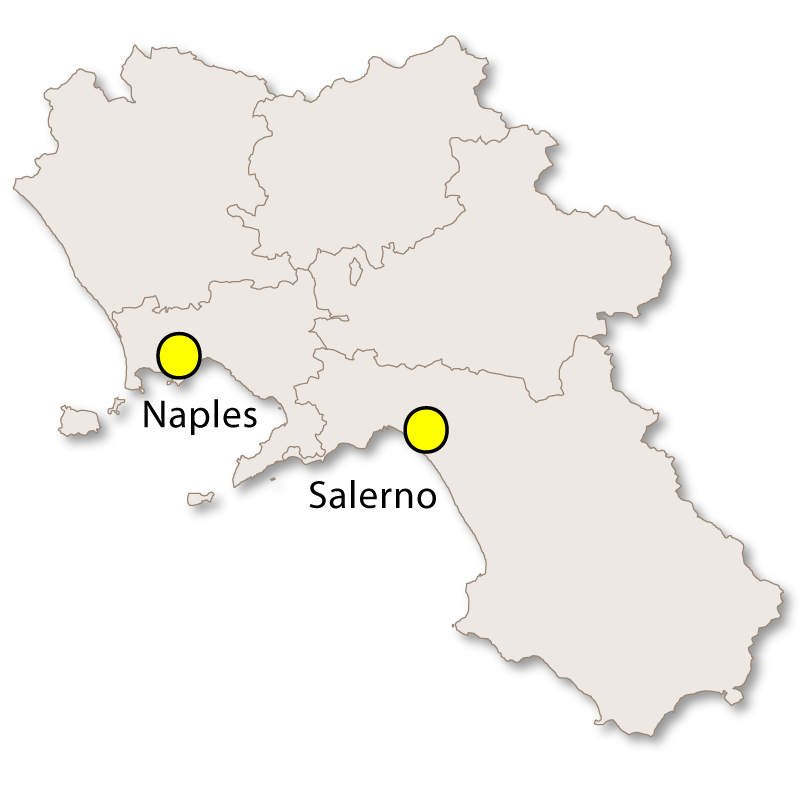 There are three ranges: The Pollino, The Sila and Aspromonte. All three have been designated as National Parks with their own unique flora and fauna. The Pollino Mountains in the north of the region are rugged and form a natural barrier separating Calabria from the rest of Italy. La Sila is a vast mountainous plateau, about 1,200 metres above sea level, stretching for nearly 2,000 square kilometres along the central part of Calabria. Also a national park, the area boasts numerous lakes and dense coniferous forests and is more reminiscent of Switzerland or Canada than most peoples' perceptions of southern Italy. The most famous part is the Bosco di Fallistro, just outside Camigliatello where you can see the 'Giganti della Sila', trees which are over 500 years old, six feet across and 130 feet tall. The Aspromonte National Park forms the southernmost tip of the Italian peninsula surrounded by the sea on three sides. Its highest point is Montalto Uffugo, at 1,995 metres.